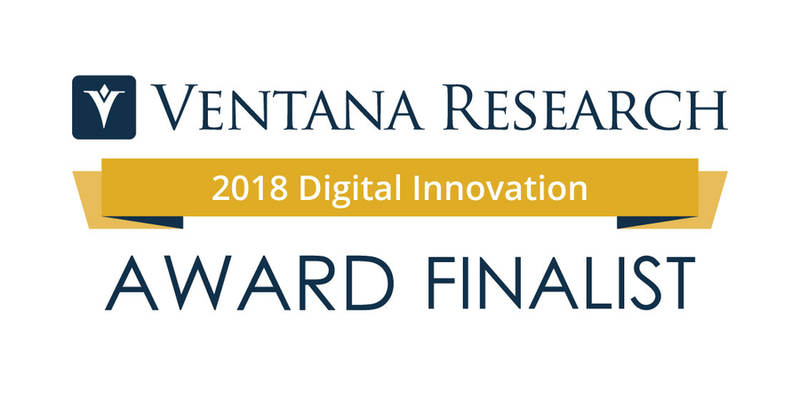 BEND, OR, October 31, 2018 /24-7PressRelease/ — Ventana Research today announced the finalists of the 2018 Ventana Research Digital Innovation Awards. The Digital Innovation Awards recognize technology providers that have introduced noteworthy innovations in technology that advance business and IT. They showcase advances in the productivity and potential of business applications as well as technology that contributes significantly to improved efficiency, productivity and the performance of an organization. The 2018 Awards cover 9 categories aligned to our expertise areas: Analytics, Big Data, Customer Experience, Digital Technology, Human Capital Management, Marketing, Office of Finance, Operations & Supply Chain, and Sales, along with an overall award. Nominations were open for organizations across business and IT, technology vendors and consulting firms. Award finalists were chosen by the expert research team of Ventana Research, by scoring the submissions based on digital innovation that most successfully maximizes the value of all the organization’s assets – its people, processes, information and technology. The winners in each category, along with the overall winner, will be announced in an industry press release later this week.